As the Rio de Janeiro Olympic games come to a close, Ishay Govender-Ypma reflects on the issues and dissent during the 2014 FIFA World Cup, a common thread between the two. For Mail & Guardian, August 2016. 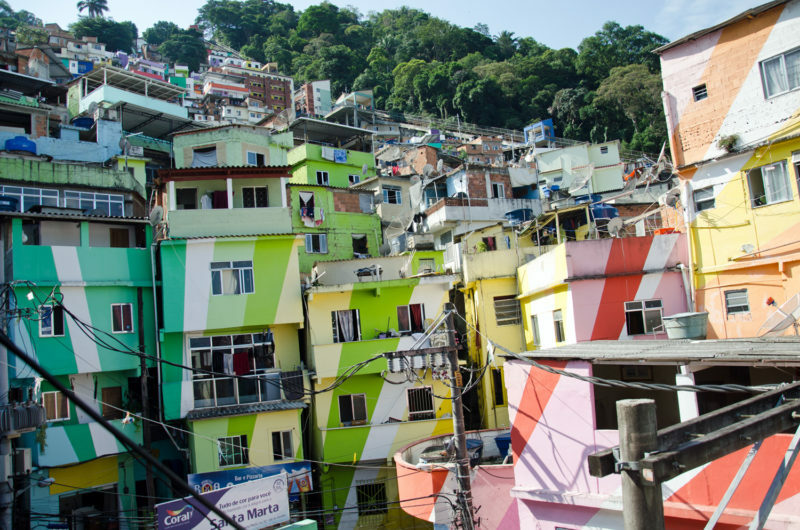 From here, at the highest tier in the Santa Marta favela in Rio, I can see the settlement sprawled out, a jagged, tumbling clash of colours scrabbling at the steep hill. 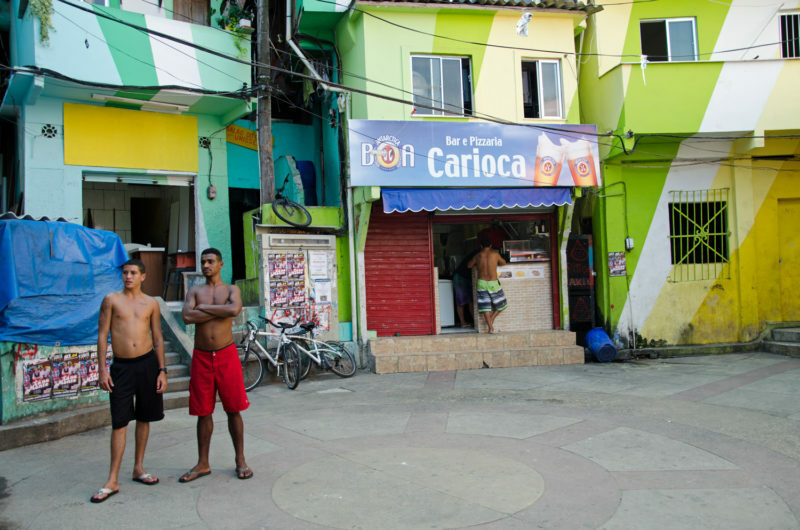 I’m in Brazil at the start of the 2014 FIFA World Cup, curious about the attitude of Cariocas, a term for Rio’s locals, towards the tournament, towards life. 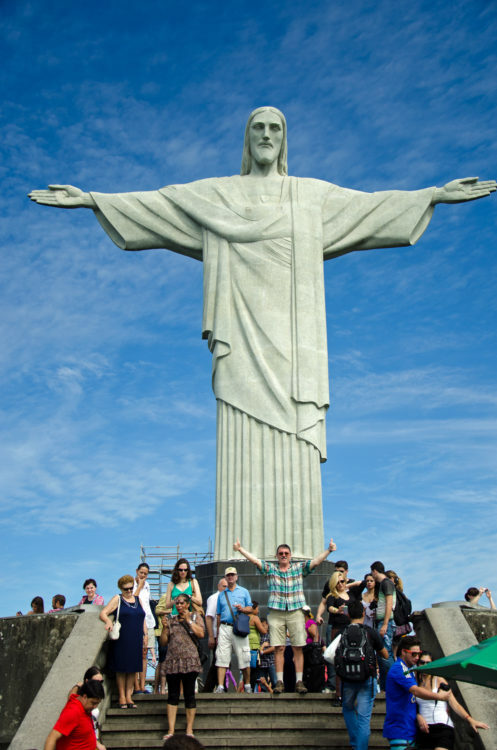 Straight ahead lies a view of the distant ocean, and atop the Corcovado Mountain, Christ the Redeemer perches with arms outstretched. I agree with Salete Martins, my guide and a life-long resident at Santa Marta, that the view from up here is worth the climb. Krauss Mansor, an expert Rio guide accompanies me on Martins’ tour, playing the role of translator. 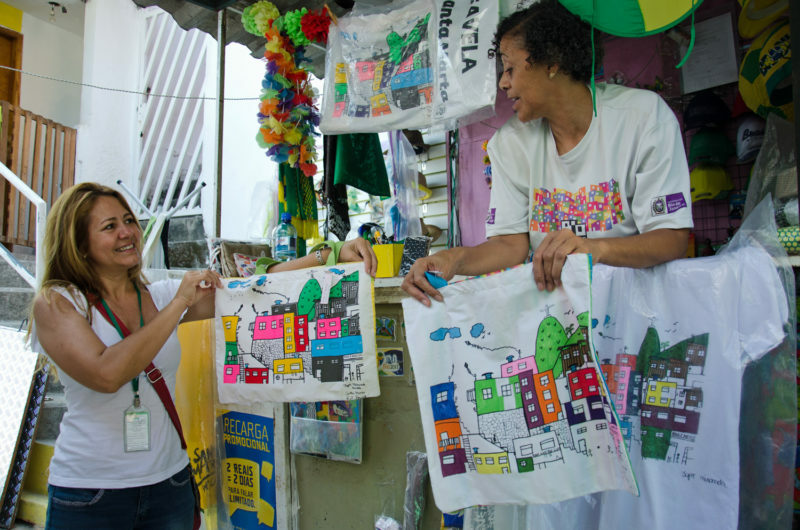 “Some people don’t want to leave the favela, because of the this,” she says, her arms sweeping over the expanse of Rio, gleaming in the midday sun. I admire her positive attitude, as we step over numerous piles of dog excrement along the path. 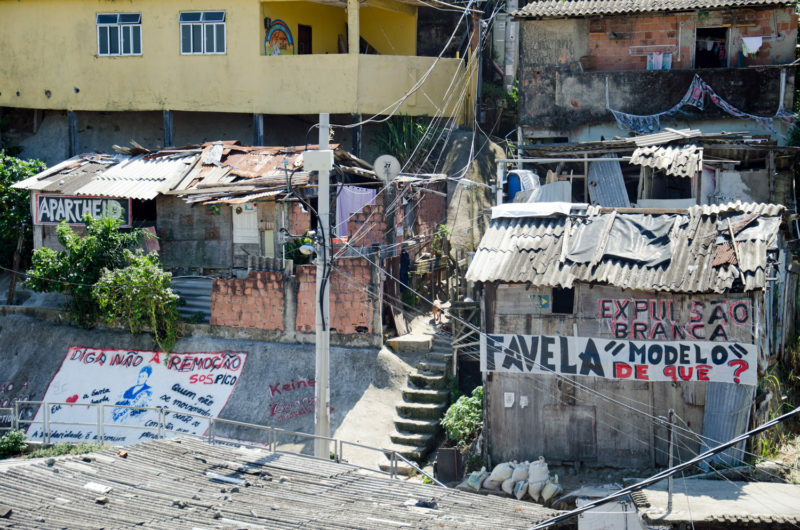 However, many of Brazil’s residents, a quarter of whom live in favelas, have faced eviction and later, during the 2016 Olympic games, it would become one of several reasons for disgruntled protests against the government of interim President Michel Temer. 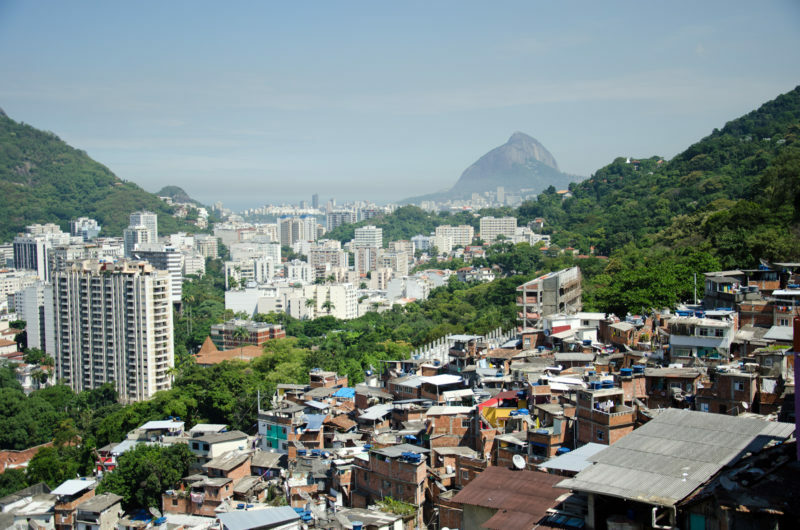 It would be judoka Rafaela Silva, Brazil’s first gold medal winner at the Olympics, who would draw the focus back to life and the challenges of living in these conditions, her family walking a tightrope of poverty in the notorious “City of God” favela on Rio’s urban periphery. In Santa Marta, the matchbox-size apartments and the shacks on stilts with zinc roofs are connected by narrow haphazard concrete stairs to the main road, five stations below. You can journey to the bottom by hopping on the single over-worked funicular installed relatively recently in 2008. 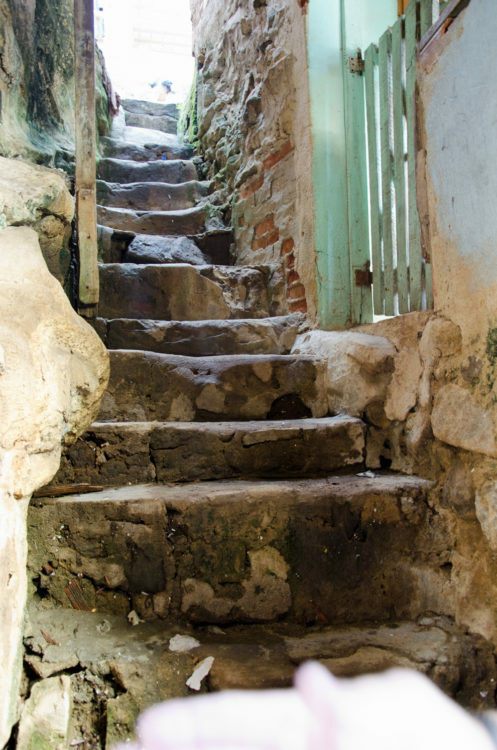 Your other option is to tackle the seven hundred and eighty eight steps, walking past houses and communal areas, and the everyday goings-on of Cariocas. Houses here are painted in several eye-catching hues. Martins tells me that a local paint company donated the paint for each house (two colours per home), on condition that one member of the family attend a painting DIY lesson, to ensure the upkeep of maintenance. It’s this sort of initiative from the private sector that has helped to move the community away from stagnation. Someone shows me a flyer for a workshop to be held by Benedito, a popular clown (the “red nose and big shoes” kind) who lives in Santa Marta. He has a particular interest in recycling and medicinal plants. In his compact community garden plants grow in old PC units, broken hi-fi stereos and abandoned toys. The local children flock to his talks; when someone has a stomachache or a hangover, they pick the appropriate herb from Benedito’s garden to make tea. This tidy, innovative urban garden, with a wooden box tacked to a pole for donations remains one of the most beautiful things I see in Rio. “No one will destroy or steal [from] here,” says Martins when I ask. Santa Marta was the first favela in Rio to be “pacified”, or taken over by the police, in a military-style operation in November 2008. A Police Pacification Unit (PPU) planted roots here, and for the very first time, the malevolent drug lords who controlled the community were forced to retreat down the slopes and out of the area. It was a long, arduous fight with far too many lives lost in the fallout. Martins recall this time with vivid clarity. At the top of the slope, close to the gated soccer field where tourists sometimes kick a ball with the local children as part of an effort to drive interest and funds inward, stands a wall pock-marked with bullet holes. “It’s here as a reminder,” says Martins, “A big shoot-out took place between the police and the drug lords. Before, we couldn’t walk in this neighbourhood, especially at night. [We were] always running and hiding.” The relief on Martins’ face is palpable. With the assistance of a community-funded course in tourism, she left the tuck shop trailer she ran for 21 years and plunged into a new world of opportunities. French clients that she guided had enjoyed her tour and decided to sponsor her course in French. 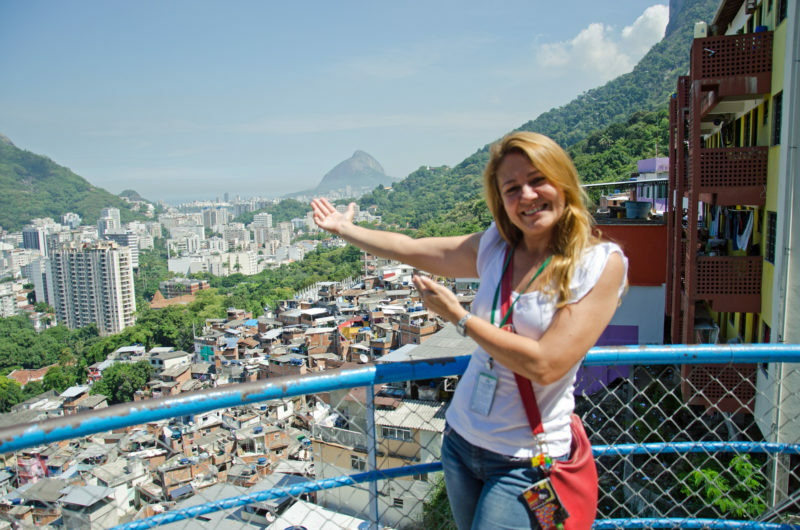 When I check in, Martin is giving tours during the Olympic games too, though the bookings have been dismal due to many consulates advising against favela visits, she tells an NPR reporter. I glance at the highest row of shanty houses across from the soccer field. “APARTHEID” is handwritten on a tatty board in bold letters. “They [the city] are developing up here. It’s not safe for these people, but they are upset. They don’t want to move. They think the government is discriminating [against] them,” Martin explains. Prior to 2008, and for the decades that people have occupied Santa Marta, and other favelas around the country, there was no assistance or involvement from the government. No electricity supplied, no sanitation services, no schools or clinics. 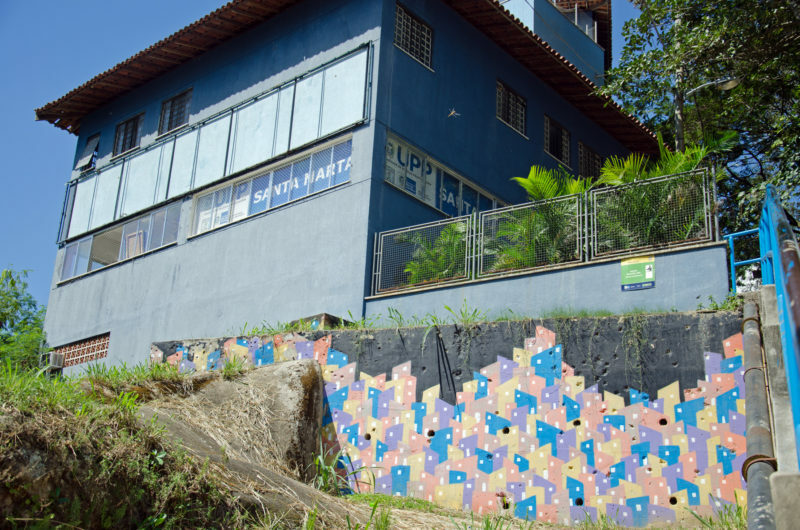 The rickety cement stairs that wind down the hill were built, brick by brick by the inhabitants who have always believed, I am told, that the favela was a temporary abode. 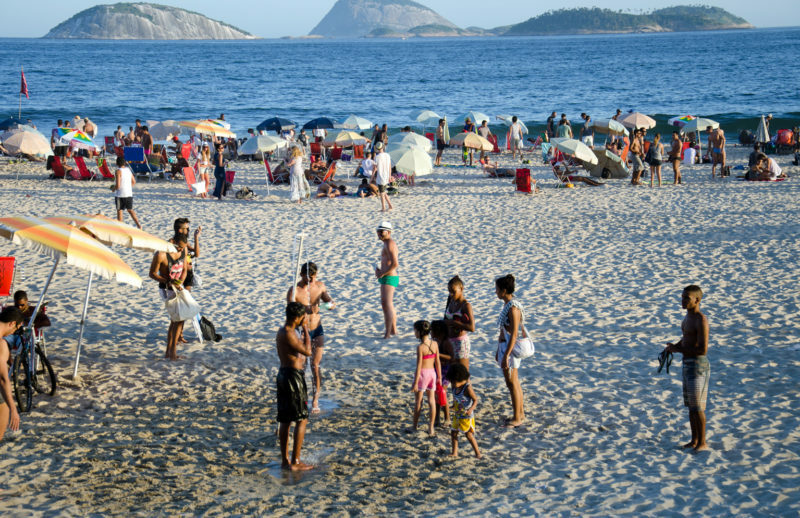 For the approximately 8000 people living here, including Martins, Santa Marta is the best of Rio they will probably enjoy. From a souvenir shop called Marlana’s, Michael Jackson’s “They Don’t Care About Us” plays on repeat. Jackson recorded the video at this very favela, years before pacification. A bronze statute in his honour glows on the balcony where he performed, and I’m told that many locals were extras on set, dancing with him. 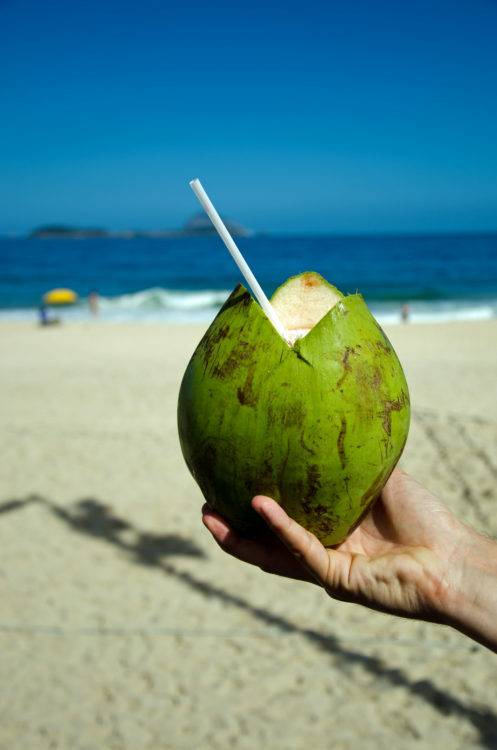 It is not hard to understand why, despite Martins’ sunny disposition, and that of the people she takes me to meet, Brazilians are furious about the monies misspent by the government in hosting the 2014 World Cup. Similar woes, it would transpire, lace the body of their objections to the 2016 Olympic games too: a corrupt government, squandering of funds, a disregard for the welfare of the poorest, environmental destruction. “What do you say to them?” he points to three men carrying a woman on a chair up the steps, wisps of damp grey hair framing her face. The funicular isn’t working today at Santa Marta, and there are seven hundred and eighty eight steps to the top. We leave Santa Marta with Mansor to dine five kilometers away, in gentrifying Santa Teresa, Rio’s bohemian corner. It’s packed with hippies and hipsters, and winding roads so steep many taxis refuse to enter. After my first taste of thick frozen açai sprinkled with muesli, just as the locals eat it, we drive downtown and stroll past the Opera House. On the square across, young communists gather, beating drums and chanting slogans. Soon, the surrounding streets clog up and the noise is deafening. There is a sense that trouble is approaching. Mansor looks agitated. He indicates our cue to depart. 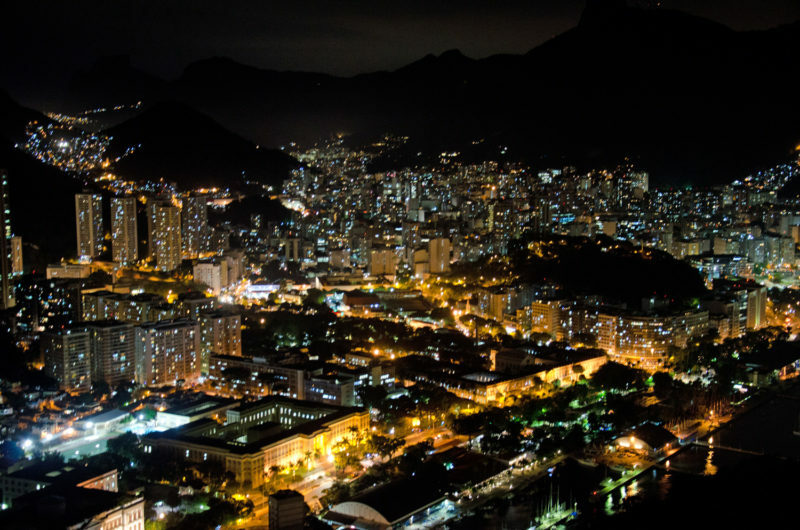 We catch the last cable car up Sugarloaf Mountain, and below us, all of Rio glitters with promise in the dark. 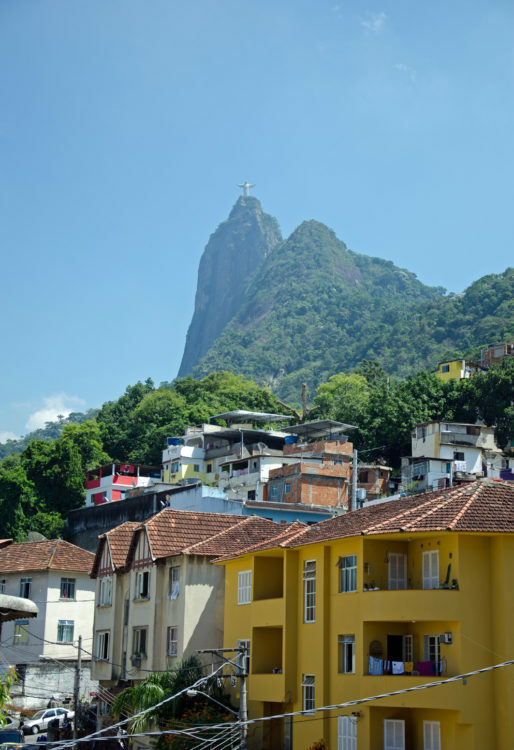 In the distance, we can see the tiny illuminated figure of Christ the Redeemer, as we did at the Santa Marta favela; omnipresent, his arms embracing the city. Sure enough, as Mansor’s fears have proved, the square we left earlier is ablaze with flames and smoke. Lifted above the city and its noise, strife and hopes, we look on in silence. And all the while, that Michael Jackson track plays on repeat in my head. They don’t care about us.